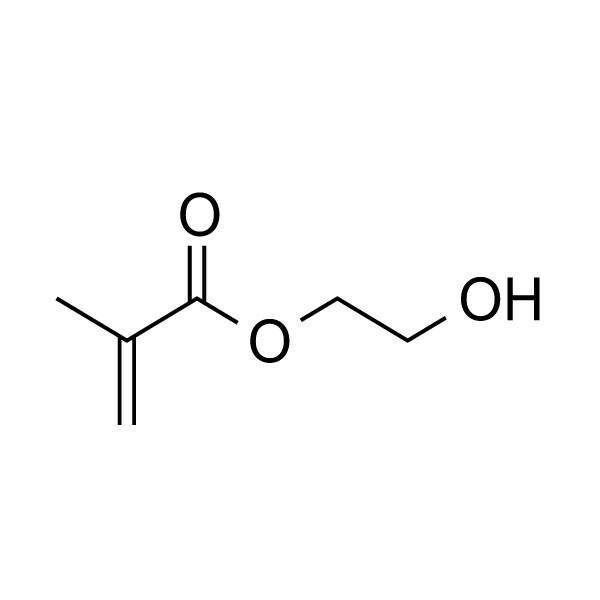 2-Hydroxyethyl methacrylate, Ophthalmic Grade | Polysciences, Inc.
2-Hydroxyethyl methacrylate (HEMA) is perhaps the most widely studied and used neutral hydrophilic monomer. The monomer is soluble, its homopolymer is water-insoluble but plasticized and swollen in water. This monomer is the basis for many hydrogel products such as soft contact lenses, as well as polymer binders for controlled drug release, absorbants for body fluids and lubricious coatings. As a comonomer with other ester monomers, HEMA can be used to control hydrophobicity or introduce reactive sites.